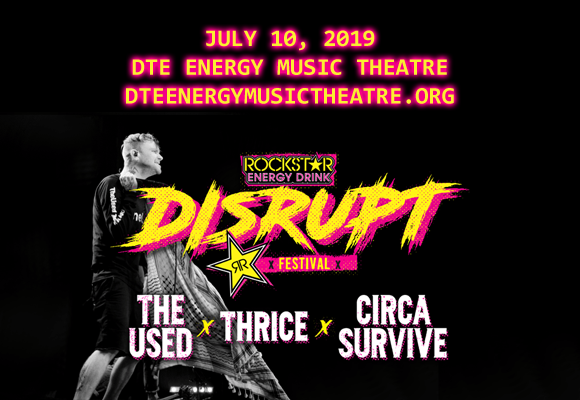 Disrupt Festival is bringing the carnage to DTE Energy Music Theatre on Wednesday 10th July 2019! This year is the inaugural outing of the brand new summer roadshow tour, which brings an insane, uninterrupted, full-day line-up to the stage, featuring The Used, Thrice, Circa Survive, Sum 41, Atreyu and more! Get ready for the punk rock festival of the summer!